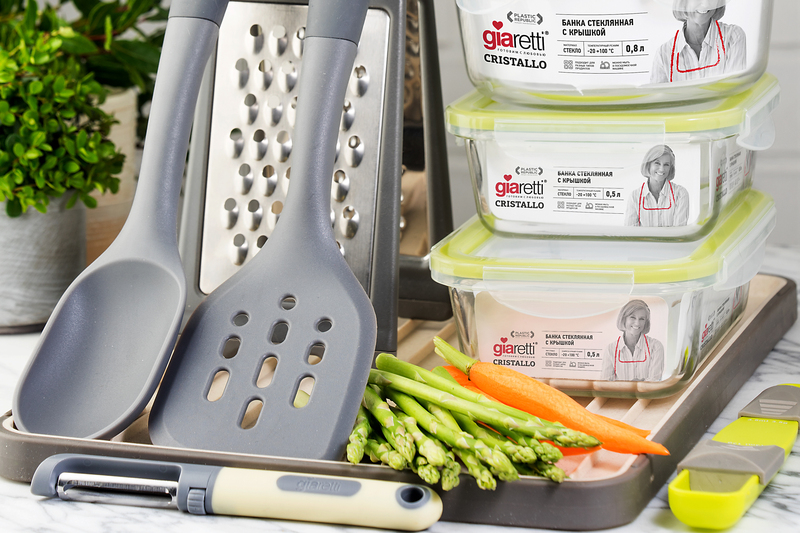 The “Plastic Republic” company has set before us the task of developing a new visual identity for the brand of kitchen accessories “Giaretti”. The new design had to strengthen the concept of the brand and to make it stand out in comparison with competitors. 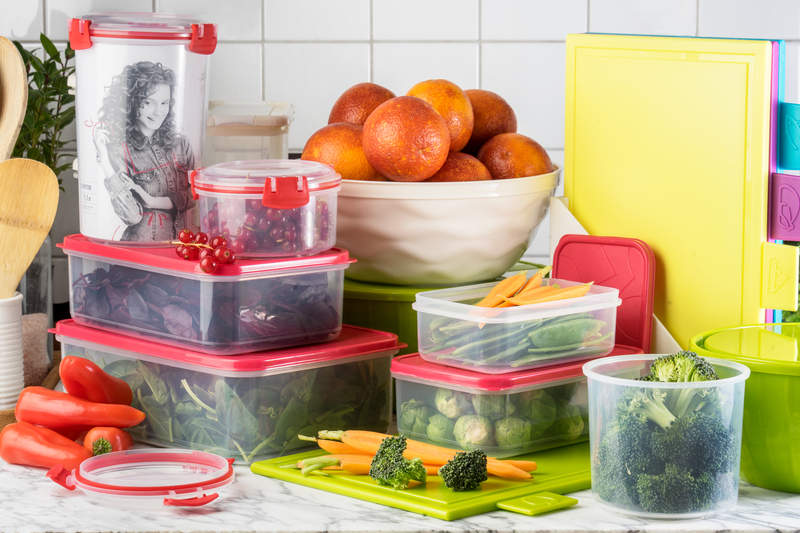 The category of plastic goods for the house is low-branded, the packages from the Russian producers hardly differ from each other on the shelf. 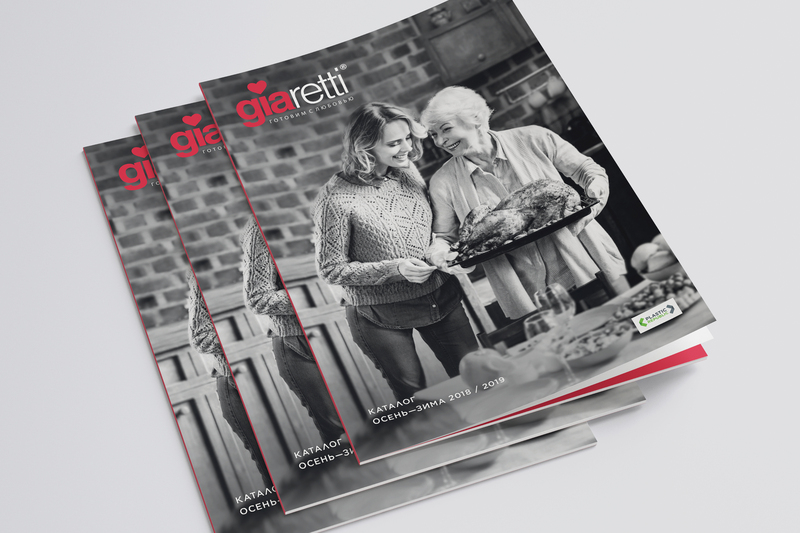 The brand “Giaretti” offers to its customers not only high-quality products of Italian design with certain functions, but also design solutions and ideas for home. When updating the brand is over, products from other materials, glass and wood, will be added to the range. 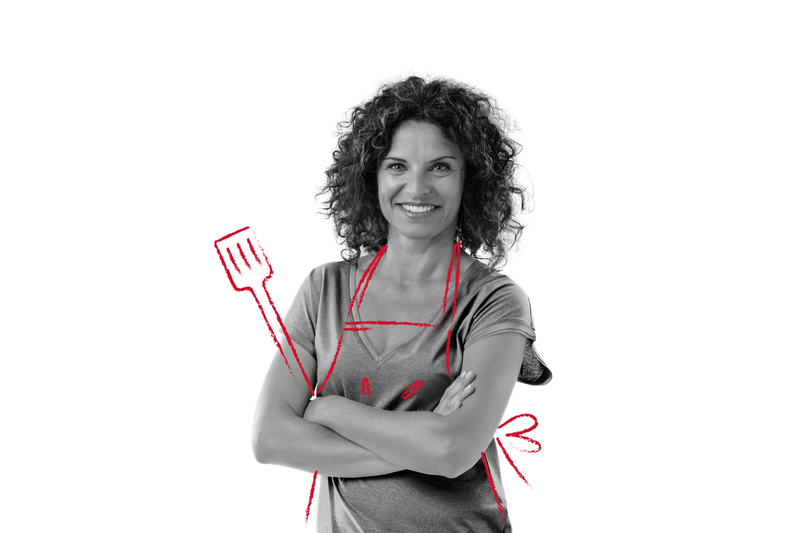 The personification of Italy is not only delicious food, but also an Italian woman who can prepare delicious dishes fast and easily, keep the house in order and is always happy to see guests – a perfect hostess, in other words. 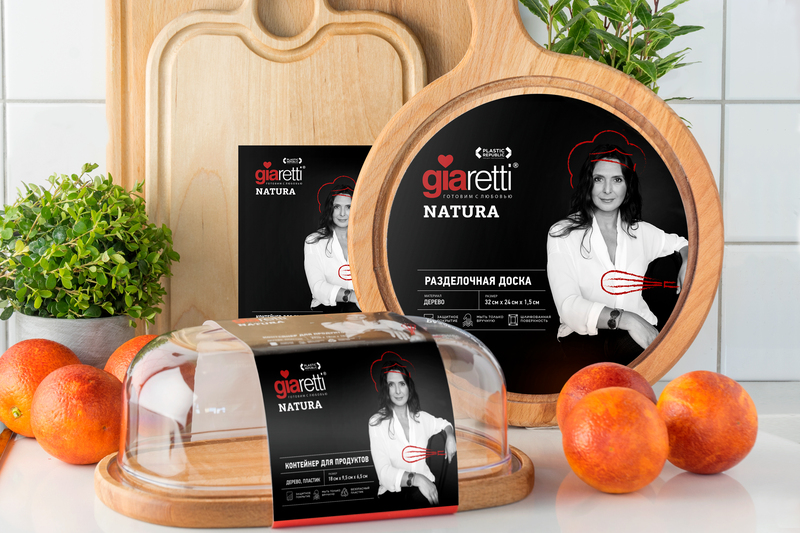 With Giaretti it is easy to become one not only in Italy. 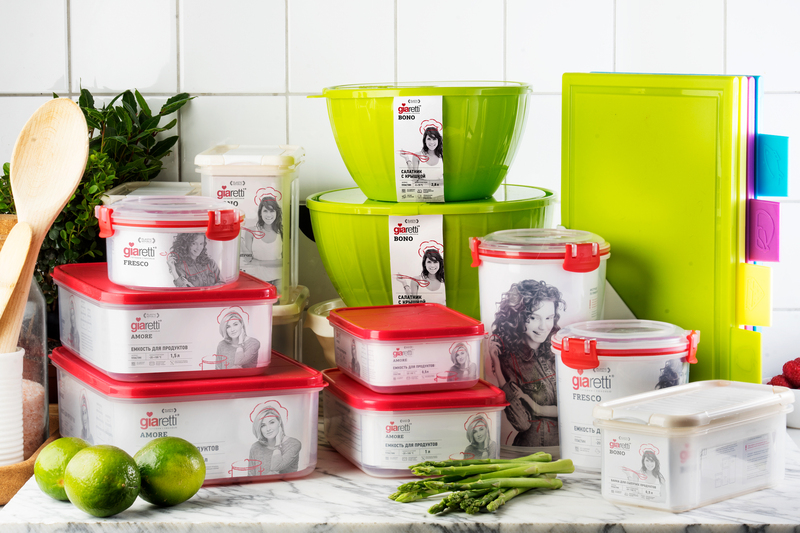 Each product line of the brand has its features and functionality. We have expressed it by picking a different image of an Italian housewife for every line. Eight lines represent eight different characters. 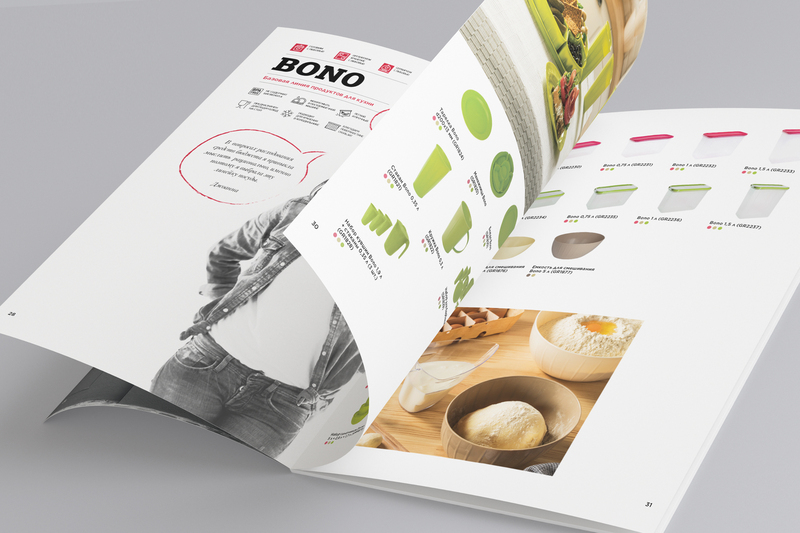 Thus, a rational customer is likely to choose the “Bono” line, a woman who is passionate about cooking will find the right products in “Virtuozo”, a fashionista will like the “Brilliante” line which embodies the most relevant ideas of modern design. The shelf of household goods in the mid-price segment is overloaded with images of read-to-eat meals and products. 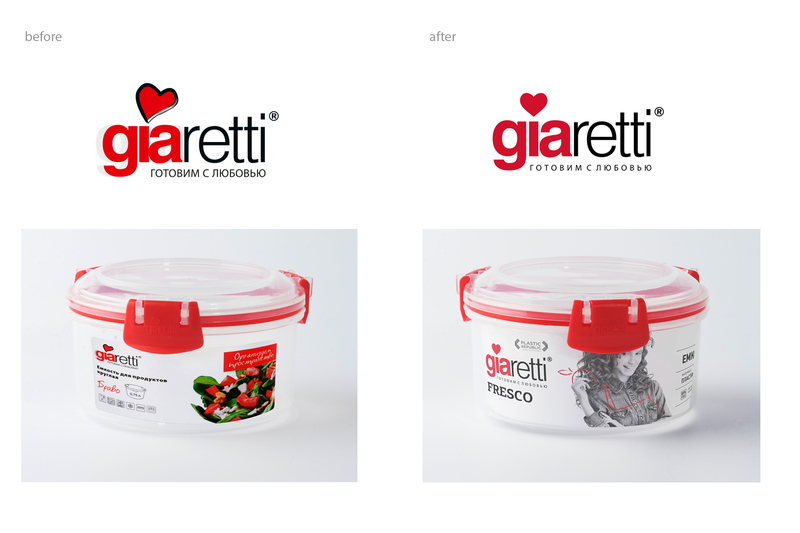 In the past, the packaging of Giaretti was bright and catchy but not very different from competitors. Therefore, we decided not to use bright colors in the package – neutral colors and a large amount of white balance the bright colors of the goods themselves. 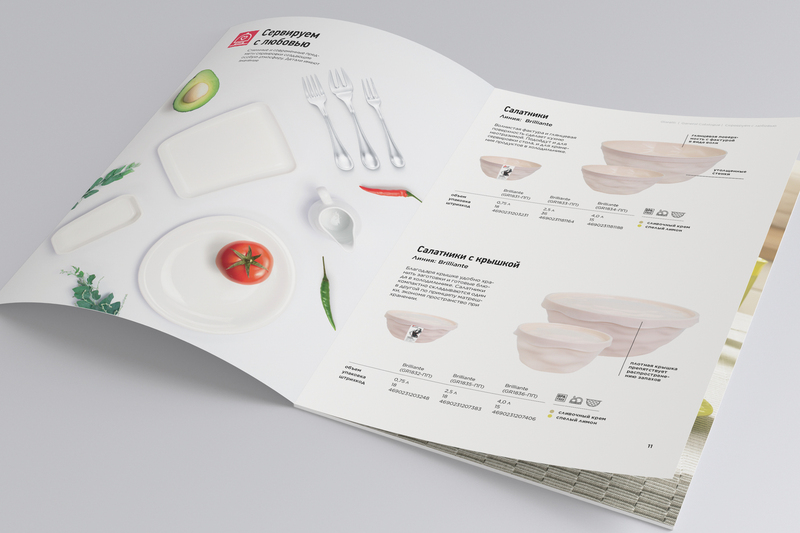 Illustrations in red pencil make the package look brighter and help to focus on the main information. 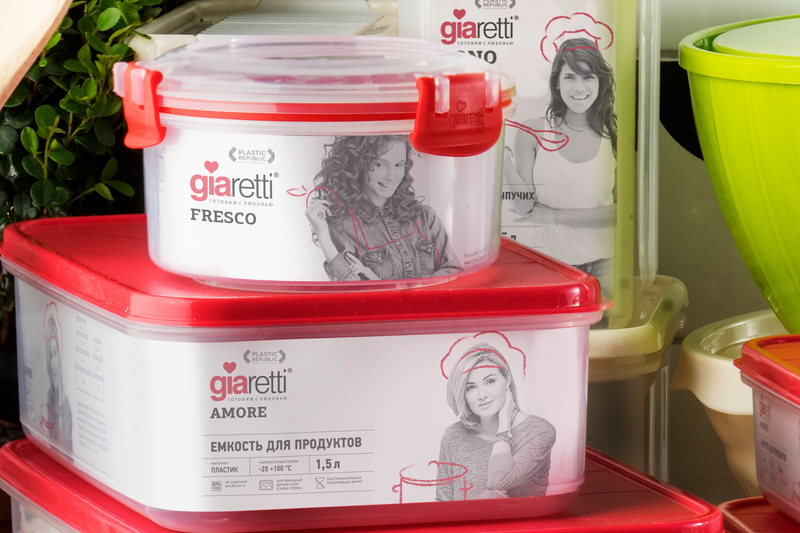 This decision has been beneficial to make the Giaretti brand stand out on the shelf. This entry was posted in id, Ohmybrand | Разработка позиционирования, упаковки, торговой марки, названия, стратегии., package, what, works, market, federal. Bookmark the permalink.